As global trade war continues to unfold, I discuss in this podcast with Bernd Lange MEP and chair of the Committee on International Trade (INTA) of the European Parliament. Bernd Lange expresses his optimism that the EU will win the case on steel against the US at the WTO and he concurs with me that the strategy of the European Council of seeking an exemption from the US on steel tariffs actually does undermine the WTO. We discuss further options in the face of an escalation of the trade war also between the US, China and the EU. Is there a plan B that would allow preserving WTO without the US? 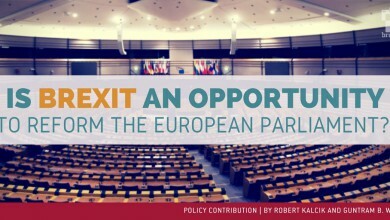 Is Brexit an opportunity to reform the European Parliament?